Interestingly, the lowest numbers came up almost at every turn and beginning of the decades (’71, ’72, ’79,’81,’90,’00) until the Millennium. Since 2005, the average of number of seeded players advancing into the last 16 in Wimbledon is 12! NEVER happened that either No.1 or No.2 seeded players did not reach the last 16! to win the title in Wimbledon. On the following diagram, you can track the changes of the numbers of the Australian players in the last 16 in Wimbledon. 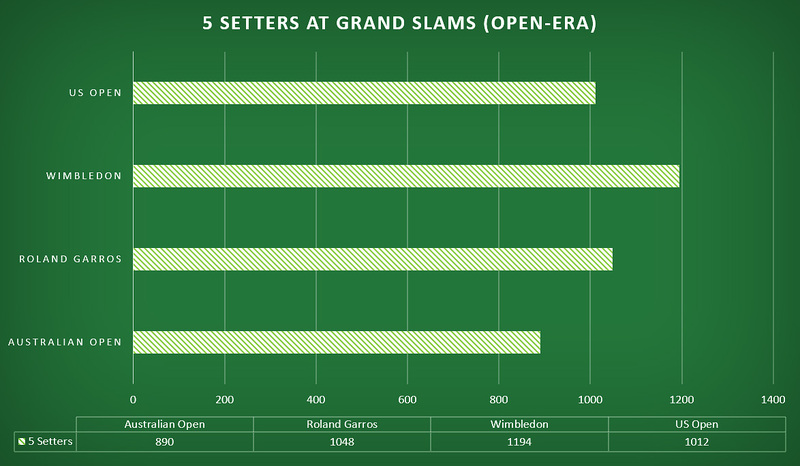 In the Open-era, 6 titles was won by 4 Aussie players in 47 years! After 4 straight titles between 1968-71 (2-2 Laver and Newcombe), Australian fans had to wait for 16 years when Pat Cash claimed the trophy in Wimbledon. 15 years later, Lleyton Hewitt won in 2002. If Australian players keep this trend, their next successful Wimby campaign will happen next year (14 years after the last one). In 2002, it was the last time when a non-European player succeed in Wimbledon! The Third Golden-Era for US Players…still yet to come? On the following diagram, you can track the changes of the numbers of the US players in the last 16 in Wimbledon. Between 1992-2000, when 2 US players (Sampras 7, Agassi 1) won total 8 titles in 9 years. In 1984, there was the highest number of US players (12) in Round 16, however in the last decade, the highest number was only 2! In the Open-era, Walkover happened ONLY once in the last 16 at Wimbledon:Roger Federer advanced against Tommy Haas in 2007. Interestingly, there were 2 Walkovers in the Open-era in the last 16 of US Open and both times, Roger Federer advanced (against Andrei Pavel in 2004 and against Mardy Fish in 2012). 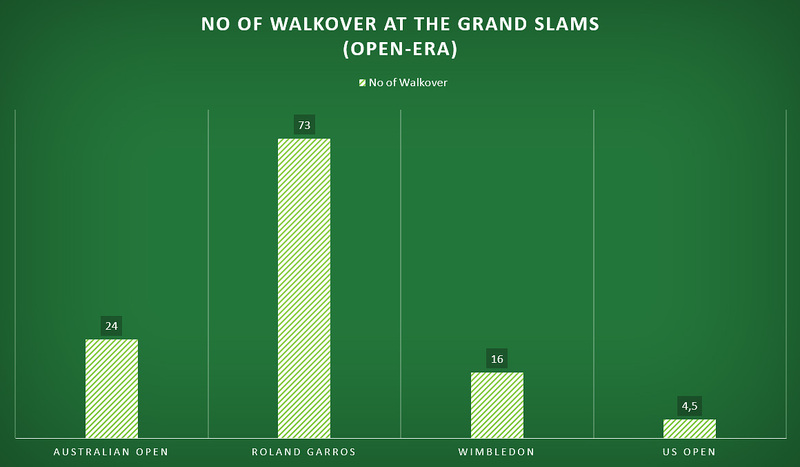 Comeback from 0-2 down in the Round 16 in Wimbledon, it happened 11 times in the Open-era. Last time in 2011. Since 1990, US player was not able to comeback in this round in Wimbledon! Since 2009, no Australian player could come back from 0-2 down in Wimbledon in Round 16.